Organizations, businesses, and institutions where I've built. New England Society of Information & Technology (NESIT Makerspace/Hackerspace): An independent 501(c)3 nonprofit organization that provides physical gathering space, a workshop, and tools for collaborative and educational projects. Techshop: A vibrant, creative community that provides access to tools, software and space. 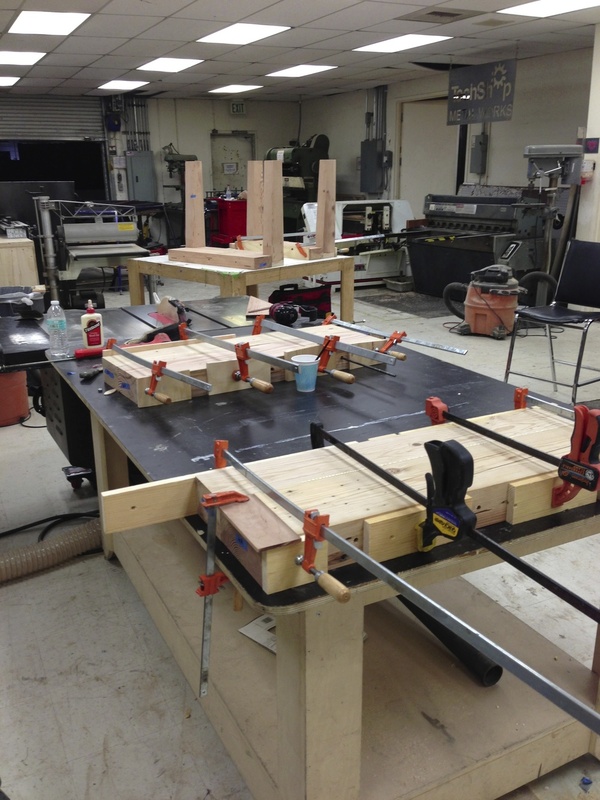 New England School of Architectural Woodworking and The Workbench: Offering a Career Training Program in cabinetmaking as well as classes and workshops in fine woodworking, basic woodworking, and home improvement. Camp Onaway: An all-summer camp for girls in New Hampshire with an excellent woodworking program as well as traditional camping experiences for ages 9-14, founded 1911. Girls At Work: A non-profit organization that empowers at-risk girls in New Hampshire and throughout New England by teaching them woodworking skills and how to safely use power tools. Woodworker's Club: Based in Norwalk, CT, in conjunction with the Woodcraft store, an open-membership woodshop with demonstrations and classes. Champagne Tables and Pet Products: Manufacturer of the highest quality grooming tables in the industry as well as grooming arms and clamps, pet bedding and all natural pet shampoo products. Ellen Rose Photography: New England-based freelance photographer specializing in real estate, portrait, and wedding photography, and also the product photographer for my book. Tam Lym Photography: Engagement photos, wedding photos, family photos, and more, in Boston, MA. Camden Clay Co.: A new line of ceramics from Camden, ME. Release The Flying Monkeys: Making hand crafted furniture and home decorations from recycled and reclaimed materials in Benicia, CA. Sarah Kersten Pottery: Beautiful, functional covered bowls and fermentation crockery, made in Berkeley, CA. Makeshop NYC: Maker of gorgeous handmade garlands in Brooklyn, NY. BuildRX: A boutique design and development firm leveraging its social expertise to help clients, ranging from early stage startups to Fortune 500s, better connect with customers. Bentwood Studios, Inc.: Offering individual and small group woodworking workshops in Carmel, NY. Ristretto Labs: Building web and mobile products for clients ranging from early-stage tech start-ups to established media and e-commerce companies looking to scale their technology portfolio. Cinder & Salt: Hand-drawn designs & custom screen printing services in Middletown, Connecticut, striving to serve folks with the same passion for eco-friendly, sustainable, transparent products. Babe Gang Patches: Iron on patches for babes.